How can you get a safe and legal Omnitrope prescription? The only way to practice safe and legally hormone replacement therapy (HRT) is to get a legal Omnitrope prescription. This prescription must be given to you by a licensed physician. A doctor will not just write a prescription for anyone who wants this medication though. He or she must know that you need human growth hormone (HGH) due to an age related depletion of this vital chemical compound. Below is important information about HGH. It should help you understand why it is required to have a prescription for Omnitrope before you can buy and use it legally. Omnitrope human growth hormone is a government controlled substance. This means that it cannot be sold, bought, distributed or used without the proper testing and prescription written for its use. It can also only legally be used under the guidance and medical supervision of a doctor licensed in the field of endocrinology. Doctors who practice in other closely related areas of medicine can also prescribe and medically monitor patients using HGH. In the United States it is not legal to buy an Omnitrope prescription online or even offline without getting the proper testing done to determine that you have a GH deficiency. Those who use it illegally and get caught could suffer monetary fines and even jail time, according to a well known news source. This is not to mention the damage they can cause to their body by using possibly tainted or fake unknown solutions. Using a human growth medication such as Omnitrope can be extremely beneficial and change your quality of life for the better. However, on the other hand, if it is misused or abused it can cause very serious side effects. People who want to partake in HRT should learn where to get prescription for Omnitrope. The place you choose could be the difference between being involved in a real, safe and protected program that follows the law or the opposite. Working with an unknown clinic or getting medication from overseas could mean risking your health. You never know what you will be getting when you work with a clinic that is not recommended, does not require testing to take place and does not require an Omnitrope prescription to be written based off of blood testing, a physical exam and medical history. Greenberg Health is a clinic that is very well known and comes highly recommended by their own clientele (past and present) and by other professionals. We require every patient to get a prescription for Omnitrope and to do everything that is necessary to keep them safe during HRT. This discussion over the phone will take place between a very knowledgeable, kind, caring and compassionate advisor. One of our jobs is to make our patients feel comfortable being able to share their medical complaints. We will help you to share without feeling embarrassed or apprehensive about disclosing your personal business. We know what it is like to suffer with a growth hormone depletion. We completely understand how it can affect a person physically, emotionally, mentally and sexually. We will listen to you and encourage an open dialogue. We encourage our prospective patients to share without holding back. The more we know about you, the better we can help you. The conversation will consist of your ailments, your goals for therapy, what you know about HRT and the advisor will teach you everything else you need to know. You can freely ask questions and understand all that is involved in getting an Omnitrope prescription online and what is involved in testing. You will learn about the benefits of this medication when paired with healthy lifestyle living. In addition, they will give you an education on healthy living. Once you know you wish to partake in human growth hormone therapy with us, you will need to get testing done. Your advisor will set up an appointment for you to get your blood work and physical exam completed. This will be done in your home city for your convenience. You will fill out your medical history form from any computer. All results of your medical information will be sent to us with complete confidentiality. What do your IGF – 1 levels look like? Do they show that you have a growth hormone deficiency? What does your physical exam show? Are you otherwise healthy enough to partake in HRT? Are you dealing with another physical illness that could be causing your ailments or are they most likely caused by a GH deficiency due to aging? Are you a good candidate to receive a prescription of Omnitrope? What does your medical history look like? Is there anything that shows HRT might not be a good fit for you? Or will you most likely gain from the remarkable benefits from treatment? 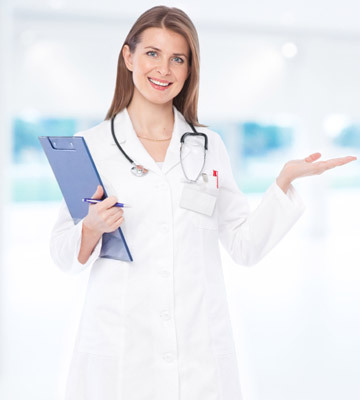 Once you are considered to be a good HRT candidate, our doctor can confidently write an HGH prescription for Omnitrope for you and a treatment plan as well. It is very important to learn how to get a prescription for Omnitrope the right way in order to stay compliant with the US law that oversees the use of HGH. It will also keep your body safe from harm. All clinics should require any patient to follow the steps listed above in order to get a safe and legal prescription for Omnitrope.